Most often, anyone arrested will be granted the opportunity to obtain a bail bond to get out of jail and await their court hearing at home. However, there are circumstances in which a judge might deny someone this privilege. We all would want to get ourselves or a loved one out of jail as fast as possible, and the best way to do so is to use a local bail bond agency. But if a judge denies bail, there is no use in calling a bail bondsman. 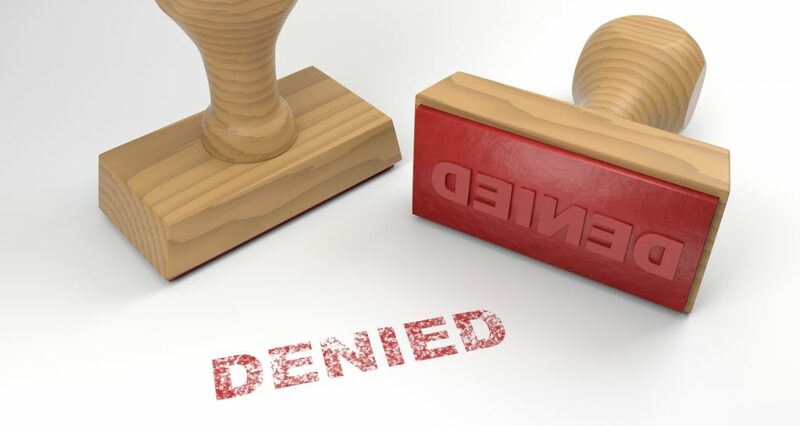 Continue reading to learn some examples of when a defendant might be denied the opportunity to make bail after being arrested for a suspected crime. A defendant is almost guaranteed to have their bail rights revoked if they have a history of failing to appear for their scheduled court hearings. If a person is arrested, and then released on bond, they are granted this right under the condition that they appear for all relevant court hearings. If someone intentionally fails to show up for court, the judge will immediately issue an arrest warrant for the defendant to be detained and kept in custody once again. But this time, they will not be able to afford the cost of their bail because the judge will set it so high, or they will be denied bail altogether. If a person is recently released from a long stint in prison, they are almost always on parole. This means they have a strict set of rules and guidelines to follow that regular law-abiding citizens do not. For example, they cannot leave the country, commit any other type of crime, or violate their parole (failing drug tests, skipping parole officer meetings, not completing community services, etc.) for a certain time period following their release. This can be anywhere from two to ten years, or more depending on the criminal history and circumstances. For those who have been arrested, released, and charged with a crime might be put on probation, which rules and regulations vary depending on the individual person and crime. Whether parole or probation, if a person is on one of these and violates in anyway, they are most likely going to be denied bail. If a non-citizen of the country is arrested, they are not likely to be granted bail privileges, especially if their crime is something other than being an illegal citizen. Instead, they are likely to face deportation, extradition, or jail time in our country. Capital crimes are so serious that most people charged with one might face the death penalty. In these cases, there is no bail allowed. Not only are they considered a danger to society, they are more prone to fleeing the country to evade capital punishment. Call Uptown Bail Bonds at 317-919-2489 for fast and friendly bail bond services in Noblesville, Indiana. We offer 24 hour bail bonds, county and state bonding, free jail and inmate information, and we serve several other areas, including Madison County, Marion County, Boone County, and more. Request a free estimate, anytime! This entry was posted in Bail Bonds and tagged 24 hour bail bonds Hamilton County, bail bonds denied, bail bondsman refused service, denied bail bond, hamilton county bail bonds, noblesville bail bonds. Bookmark the permalink.